Energy Storage Systems | Genesis Nanotechnology, Inc.
Supercapacitors can be charged and discharged tens of thousands of times, but their relatively low energy density compared to conventional batteries limits their application for energy storage. Now, A*STAR researchers have developed an ‘asymmetric’ supercapacitor based on metal nitrides and graphene that could be a viable energy storage solution (“All Metal Nitrides Solid-State Asymmetric Supercapacitors”). Researchers at Rice University in Houston, Texas, have developed a nanoporous material that has the energy density (the amount of energy stored per unit mass) of an electrochemical battery and the power density (the maximum amount of power that can be supplied per unit mass) of a supercapacitor. It’s important to note that the energy storage device enabled by the material is not claimed to be either of these types of energy storage devices. 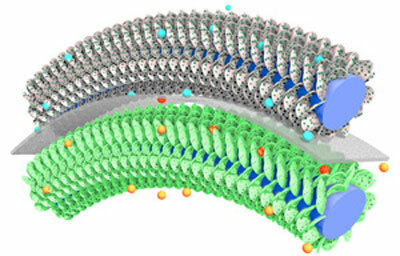 The research community has wearied of claims that some new nanomaterial enables a “supercapacitor,” when in fact the energy storage device is not a supercapacitor at all, but a battery. However, in this case, the Rice University researchers, led by James Tour, who is known for having increased the storage capacity of lithium-ion (Li-ion) batteries with graphene, don’t make any claims that the device they created is a supercapacitor. Instead it is described as an electrochemical capacitor with nanoporous nickel-fluoride electrodes layered around a solid electrolyte that is flexible and relatively easy to scale up for manufacturing. The issue of appropriate nomenclature aside, the reported performance figures for this energy storage material are very attractive. In the Journal of the American Chemical Society (“Flexible Three-Dimensional Nanoporous Metal-Based Energy Devices“), the researchers report energy density of 384 watt-hours per kilogram (Wh/kg), and power density of 112 kilowatts per kilogram (kW/kg).